Last Sunday we got hit with snow, so we spent the day on a food adventure and watching movies in front of our new electric fireplace heater. I've lived in Virginia almost 5 years and I can say I've become a true Southerner when it comes to snow- at the earliest hint of snow I cancel all plans and camp out at home, making known that I will not leave until the 60+ degree weather returns and melts the snow. This was probably 6" of snow, of which everyone up North knows doesn't even warrant a plowing, but needless to say, it shuts down the south. 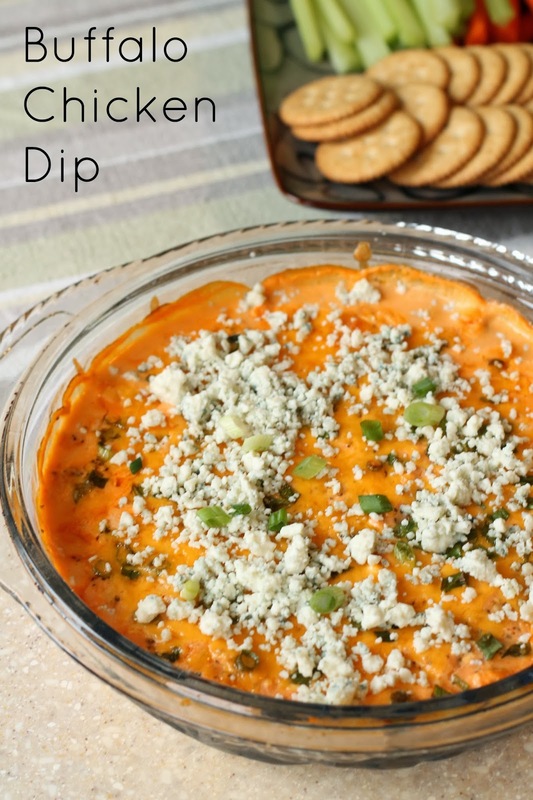 Before you judge, there are green and orange things to dip into the Buffalo Chicken Dip, see? Besides the health reasons of adding them as dipping vessels, they do help to calm down the heat of the dip. That being said, I'll add it in notes below, but feel free to adjust the hot sauce added to your liking. 1.) Mix cream cheese, sour cream, and hot sauce. Fold in shredded chicken. 2.) Spread in a small baking dish. Top with celery seeds, scallions, and shredded cheddar. 3.) Bake at 425 until bubbly, about 20 minutes. -Make sure to edit the hot sauce as to your liking- 1/2 cup makes it quite spicy! -You could skip the celery seeds if you don't have them, but in my opinion they are delicious! -I used leftover chicken breast and didn't have quite 2 cups, hence the runny consistency in the photos. Pardon my while I go stuff my face with the leftovers. So going to have to give this a try one day.